Summer in Japan is very hot and sticky with the mercury rising to the mid and high 30C levels with very little relief at night. Popular destinations like Tokyo, Kyoto and Osaka can get extremely hot during this season. You can escape the heat by heading to places like Nikko, north of Tokyo or the cooler Japan Alps in the heart of Japan. Alternatively you can follow these handy tips below to survive a Japanese Summer. 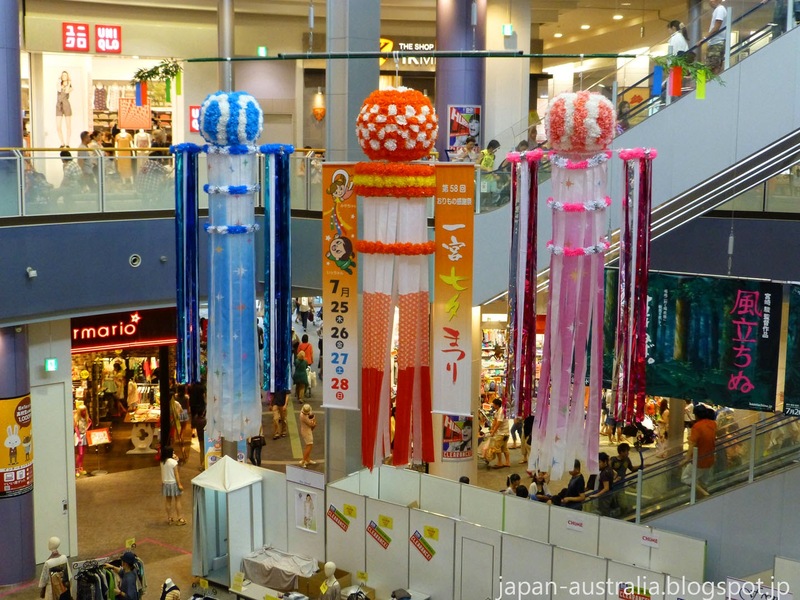 Escape your hot house or apartment by visiting one of the many shopping malls scattered around Japan. They offer air conditioned comfort with lots of cool shops to visit, or just sit down and enjoy the coolness of being inside out of the hot sun. We normally do this during the hottest part of the day which is usually from about 2 pm to 5 pm. Japanese shaved ice is a popular dessert during the warmer months in Japan. 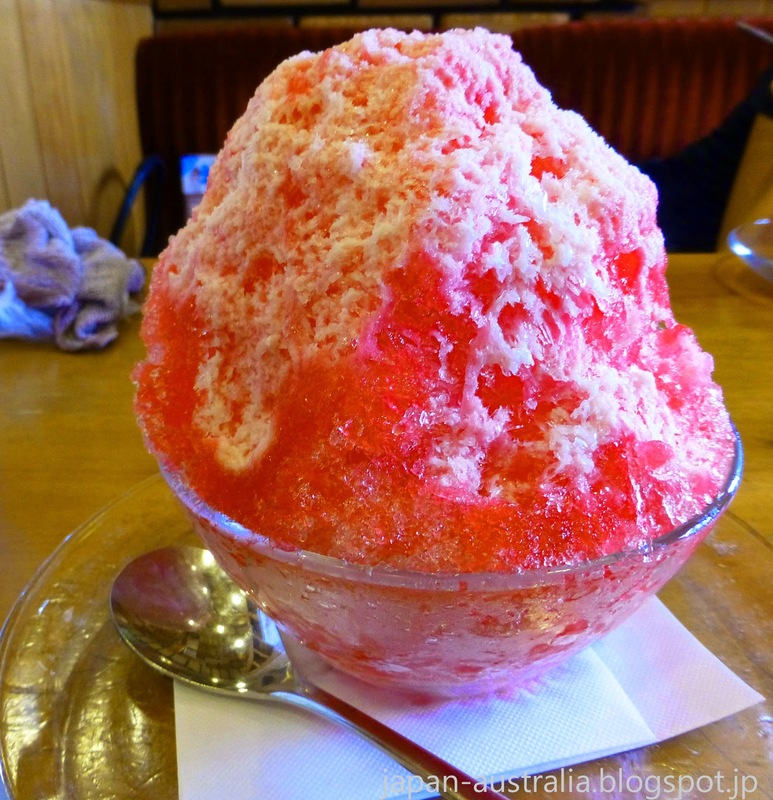 Kakigori is usually flavoured with a syrup and sweetened with condensed milk. Some of our favourites include Ichigo Milk (Strawberry Milk), Blue Hawaii (Soda) and Matcha (Green Tea) with Anko (Sweet Azuki Beans). Try taking a cool bath with some Japanese cooling bath salts. 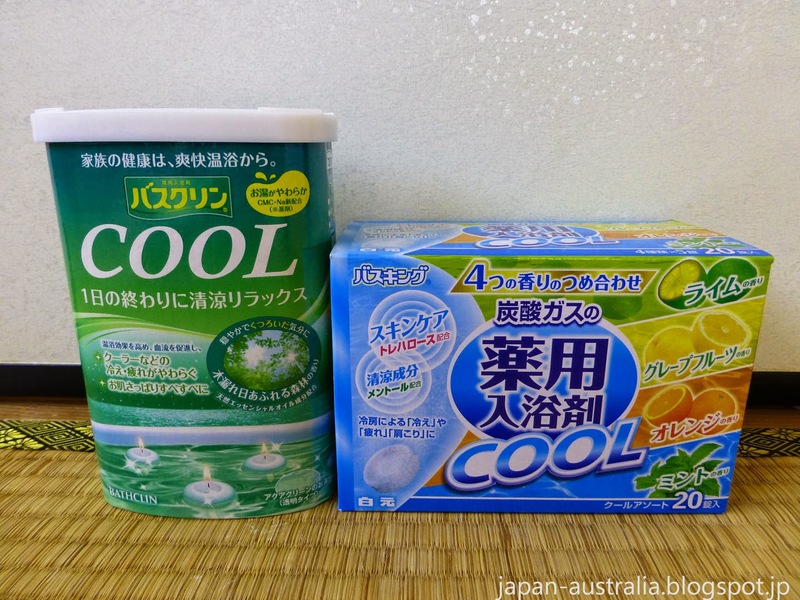 These can be picked up from any Drug Store or Supermarket in Japan, and when added to a bath of around 38C start cooling your body from the moment you leave the bath. The bath salts contain cool things like mint and menthol and come in summer aromas like mint, fresh forest, lime, grapefruit and orange. Popular brands are Bath Cline and Babu Cool. Ramune is a Japanese carbonated drink that reminds me of lemonade from back home. It has a distinctive bottle design which is made from glass and sealed with a marble. 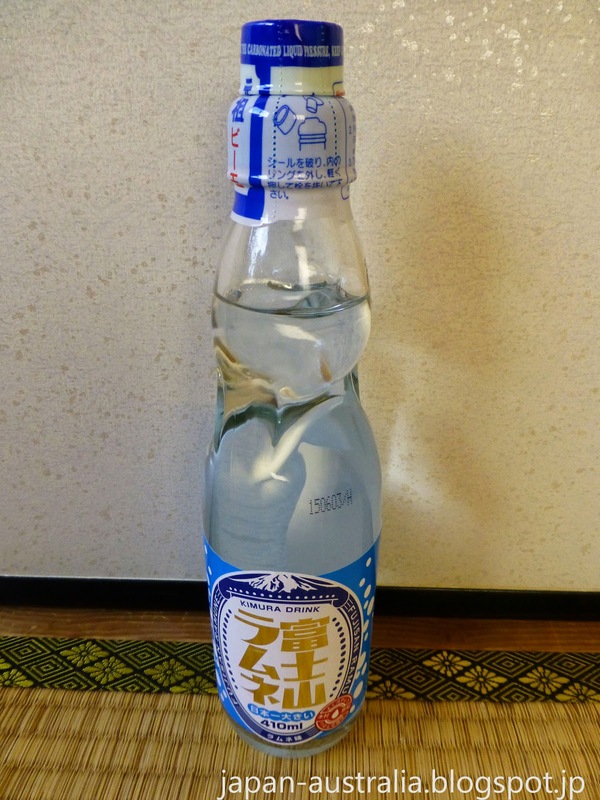 Ramune is very refreshing and is a modern symbol of summer in Japan. You can find it sold at convenience stores and supermarkets, as well as at all the summer festivals and fireworks in Japan. Body wipes or body sheets as they are sometimes called here in Japan can be a life-saver. They are basically a moist deodorising wet tissue that cools your body and takes away that unpleasant sweat. Some of them even leave you with that refreshing tingling feeling! You can pick them up at any Drug Store or Supermarket here in Japan. A favourite of mine is the Gatsby Ice Type. 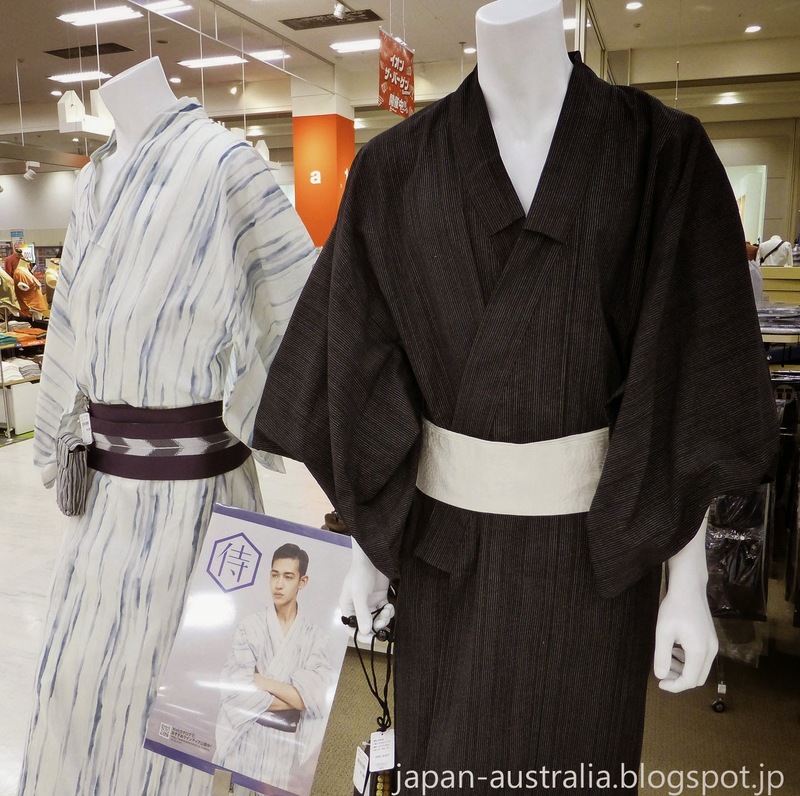 Japanese summer room wear like a traditional Jinbei (甚平) are great for keeping cool. A traditional Jinbei is made of breathable hemp or cotton. They are usually worn as a type of nightwear or house wear, but in recent times have become a popular clothing item to wear out during the summer. Jinbei can even substitute for a traditional yukata (summer kimono) during a summer festival. Furin is a type of Japanese glass wind chime that has been popular since the Edo Period in Japan. Furin are the sound of summer for me and are traditionally hung up during the summer months, usually near a window or outside to catch the breeze. It is believed that the soothing sound of the chime keeps you feeling cool. Japanese love their noodles and summer is no exception with lots of cold and chilled noodles on offer. A summer favourite of ours is Hiyashi Chuka (冷やし中華). The dish consists of chilled ramen noodles topped with cold ingredients and a special sauce. Popular toppings include tamagoyaki (cooked egg), cooked cold chicken, ham, cucumber, and tomatoes. The sauce is made from a combination of water, rice vinegar, soy sauce, sugar and sesame oil. A delicious dish to help cool you down. Ice Pillows are great and can be purchased very cheaply at most Drug Stores in Japan. You keep the ice pillow in the freezer during the day and then take it out at night, wrap it in a thin towel and use it as a pillow at night to stay cool. Temperatures in Japan during the night are still very high and uncomfortable and it can be hard to get a good night’s sleep. Using an ice pillow definitely helps and I recommend them if you have never tried them. Japanese drink a lot of different kinds of tea and have a cool summer tea which is very refreshing. It is called Mugicha (麦茶) and is a tea made from roasted barley. Mugicha is a lot more refreshing to drink than water and is believed to help you survive the heat of summer. Do you have any great tips to beat the heat in Japan? 冷やし中華 is my favorite. It's necessary to eat cold food during very hot summer.